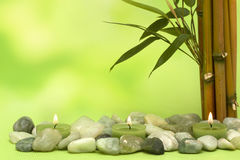 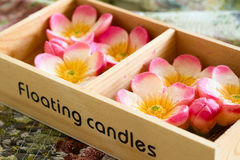 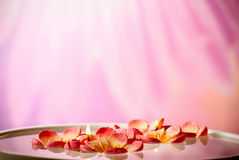 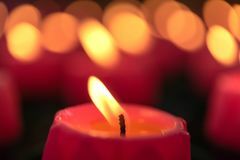 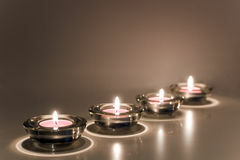 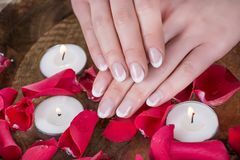 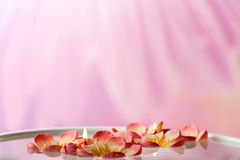 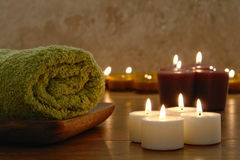 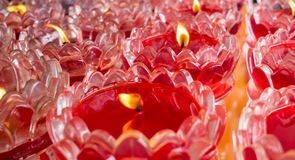 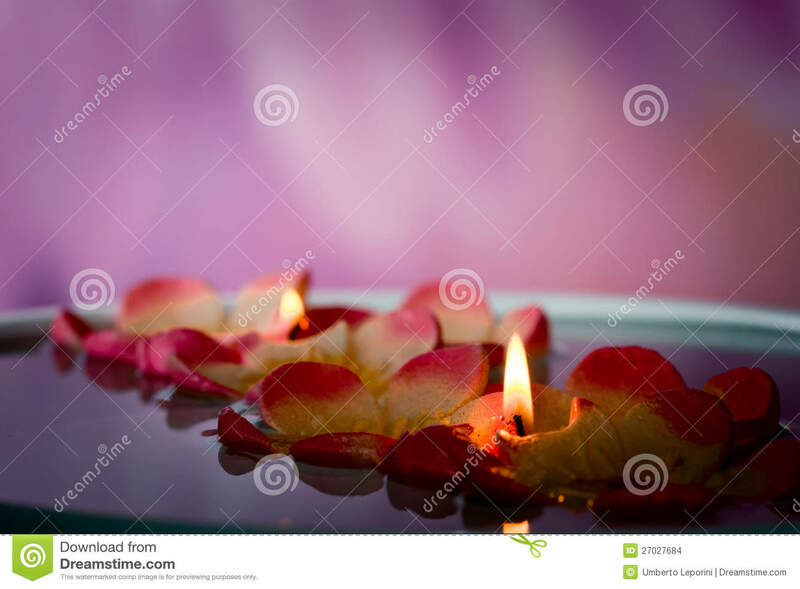 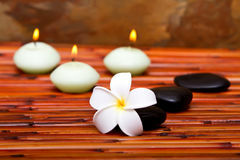 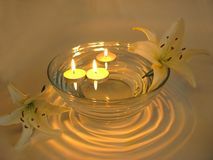 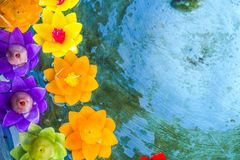 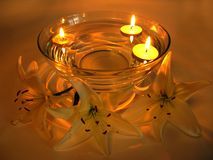 Tea candles and flowers floating on water Candle color flower shape for floating point Flower on water Woman hands with french nails polish style and wooden bowl with water and floating candles and red rose petals Flowers candles in bowls Flower candles burning at night. 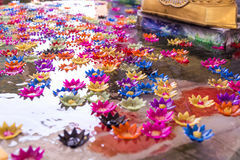 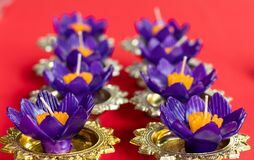 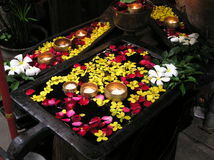 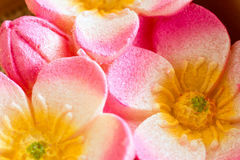 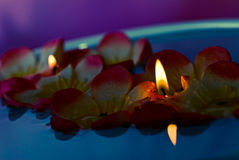 Flowers floating candles light,Thailand. 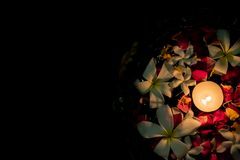 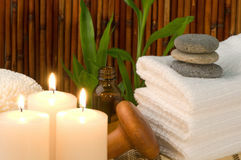 Candle on tropical lake background, spa concept, Bali island, Indonesia.